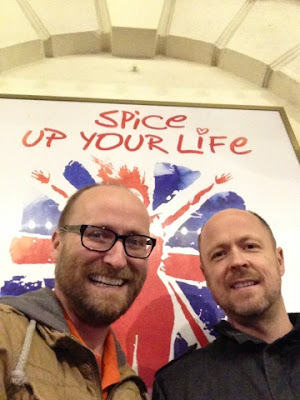 Last night Baby, Sporty, Scary, Ginger, Posh, Stuey and me went to Spice Up Your Life! 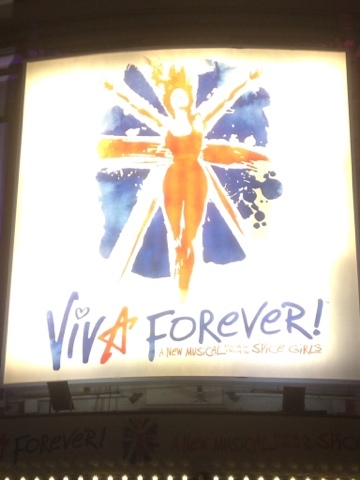 and see Viva Forever at the Piccadilly Theatre in London's glitzy West End. The shows is still in previews (and it shows). The Spice Girls' songs still sound good but it all needs a bit more spit & polish before it's really ready. It's funny in parts but could do without the fluffed lines or lighting cues though. The first half dragged although it did end with a nice threeway mash-up of Mama, Goodbye and Headlines which brought a tear to the eye. The second half got better - as jukebox musicals tend to - when they trotted out the bigger hits and relied less on the 'plot.' Oh yes, the plot. Well, four girls audition for a talent show Starmaker (i.e. X-Factor) and only one gets through and guess what? turns out the talent show machine is pretty awful. Overall the script could be funnier, the songs could have fitted better. 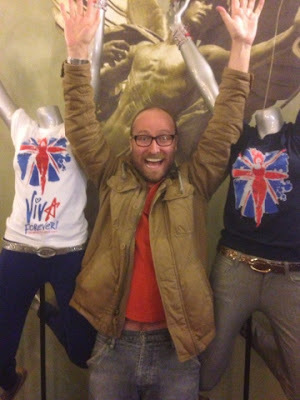 Having a Mel C and a Geri song in the mix didn't hurt. Sadly a woman in the row behind us passed out so they stopped the show (no, she didn't fall asleep). It was the heat (I think). If you are thinking of going to see Viva Forever it might be worth booking soon. I can't see it running for too long. It's no Mamma Mia. Oh and make that interval drink a double. It'll pay dividends.